Why build when you can move right into this IMMACULATE 4-YEAR OLD, SPLIT BEDROOM CUSTOM-BUILT HOME??? You&apos;ll find this home tastefully decorated with so many desirable features including a Delightfully Open Floor Plan that offers a Spacious Great Room that easily flows to the Cozy Hearth Room & Dining Area! The Attractive Stacked, Stone Fireplace offers a Gas Log and is Wired for TV placement above the Mantle--Great for Entertaining by the glow of the Fireplace while you dine! Tree Lined Backyard with Patio * 35-Year Dimensional Shingles * 3-Car Garage with Pegboard and Pull-Down Stairs to Floored Attic * 9&apos; Ceilings * Spanish Lace Ceilings * Stylish 2-Panel Doors * Hand-Scraped Engineered Wood Flooring in Main Living Areas * Custom Faux Wood Blinds in Entry, Great Room, Master Bedroom and Master Closet! You&apos;ll LOVE the Restful Master Bedroom w/Private Bath offering Double Sinks with Tall Vanity, Linen Closet, Step-In, Tiled Shower w/Long Built-In Bench & Alcove Area for shampoo & soap! Kitchen Favorites: STAINLESS APPLIANCES * SOFT-CLOSE DRAWERS * Tile Backsplash * Corner PANTRY * BREAKFAST BAR provides seating for 4 * Beautiful Windows! 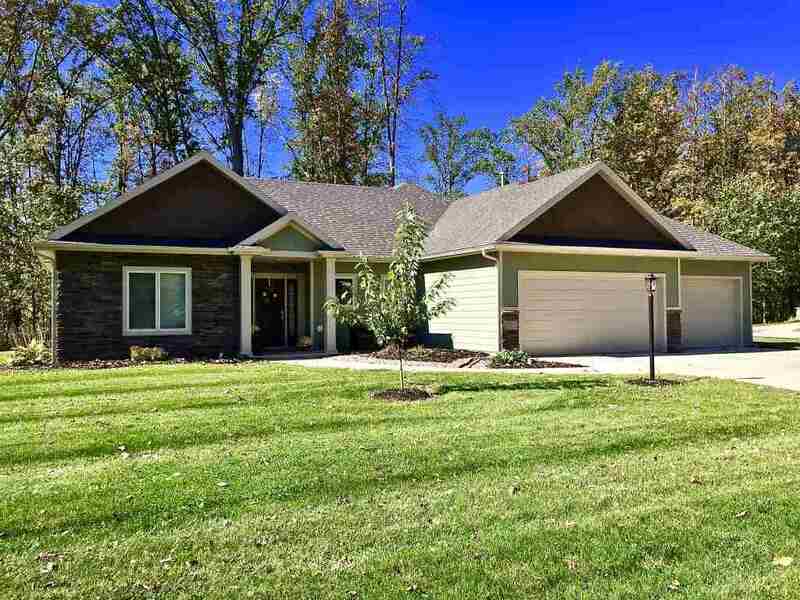 * Treyed Ceiling in Great Room * Lots of Can Lighting * Energy Efficient Home * 50-Gallon Water Heater * Carrier Furnace & Central Air * A well-thought-out Laundry Room/Mud Room Design with Folding Tables, 2 Windows, Pocket Door, Built-In Bench & Coat Hooks! THIS IS A MUST SEE! Solidly Built by Quality Crafted Homes!